While your friends may not be familiar with a French 75 cocktail, they soon will be. These are so easy to make, and are practically foolproof. Plus Cognac and Champagne? Ooh la la. You so fancy. Soak the sugar cube in bitters. 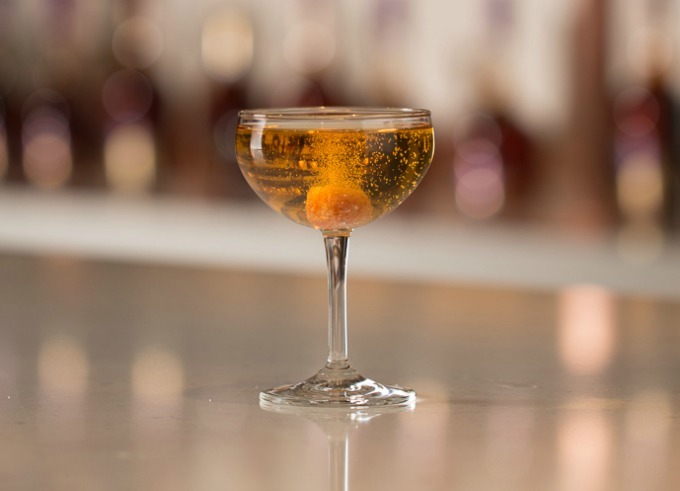 Drop the soaked sugar cube into a champagne coupe glass. Top with champagne, and garnish with the lemon peel. You can use a good quality champagne, but you don’t need to. A decent quality champagne that you’d be fine with drinking is great, as is a dry sparkling wine. The French 75 champagne cocktail pairs really well with these Warm Roasted Garlic Parmesan Shrimp, too. If you’re new to entertaining, don’t miss our How to Create an Amazing At Home Bar article. It will help you create the perfect bar for flawless get togethers. Well, at least as far as the drinks go. What do you say? 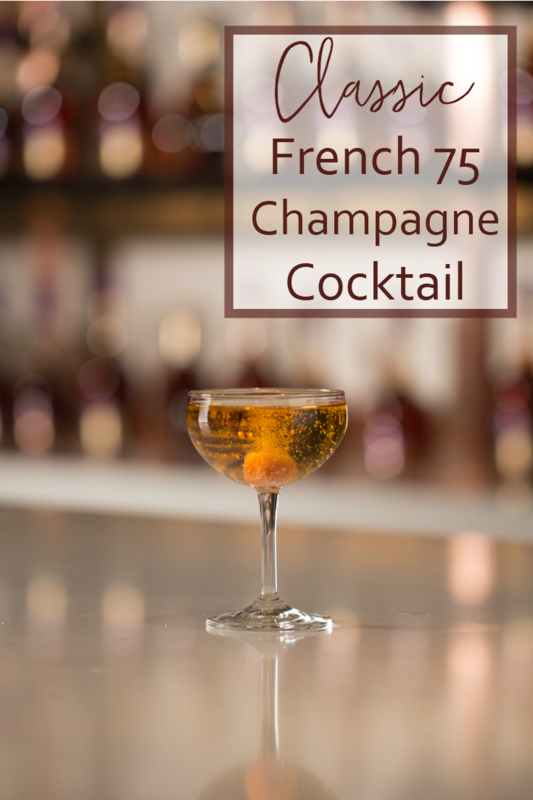 Are you going to try your hand at making a French 75 cocktail? Do let me know!